When the Alban Theatre opened with the film “Ebb Tide” in 1938, its grand opening advertisement touted it as “a new and modern theatre entirely in keeping with the progressive spirit of St. Albans,” a Charleston suburb. Indeed, an article in the Charleston Daily Mail hailed it as “one of the most modern theaters, from a design and mechanical standpoint, to serve patrons in cities of that size.” The Alban, which featured Colonial / Neo-Classical styling in both its architecture and interior decor, offered 500 seats, a lounge, and a stage with dressing areas for performers. The arrival of the Alban did not create competition for the movie house already operating in downtown St. Albans, the Main Theatre. Both had the same owner, O.B. Pierce, who announced that the older Main would be remodeled and would soon reopen as a “colored” cinema – serving the area’s African-American population in that era of segregation. 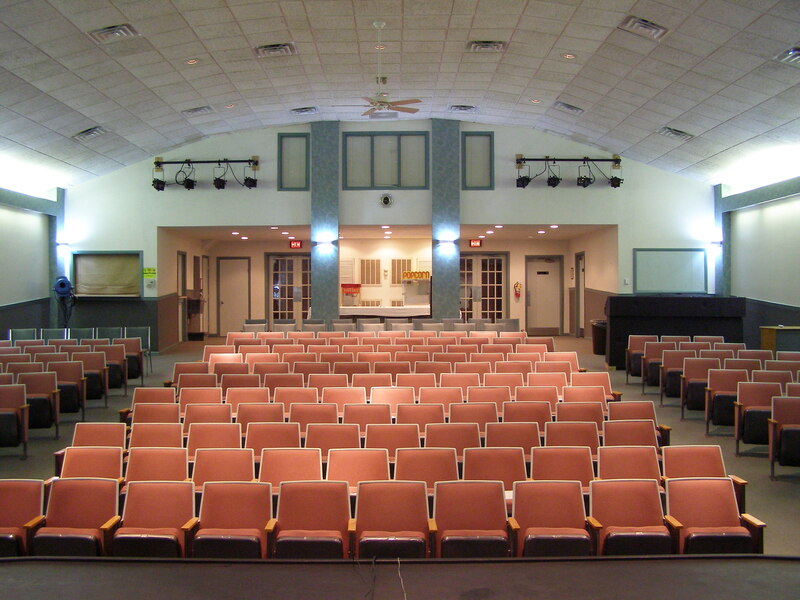 Over the next several decades, the Alban Theatre was active in local life – hosting events like a community fashion show and a fundraiser for the St. Albans High School’s exchange program. 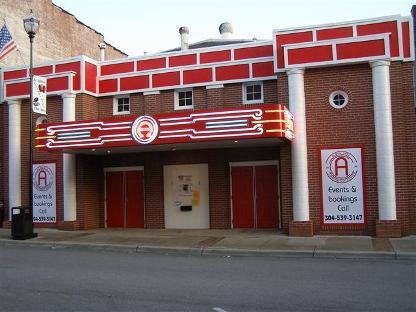 By 1970, the Alban had become part of a chain, Cinema South Inc., which operated several other theaters in West Virginia and Ohio. Cinema South’s theaters, including the Alban, had interesting promotions – such as serving free coffee and allowing women to see movies at the children’s ticket price during Monday Night Football games. Based on Charleston newspaper advertisements, the Alban continued showing films until at least 1977 – when it was still keeping a family-friendly atmosphere, offering special children’s matinees and Disney movies. Then, for about twenty years beginning in the 1980s, the building served as a Kingdom Hall for Jehovah’s Witnesses – with the church making numerous changes to the interior. By 2007, however, the structure was vacant and for sale, its windows boarded up. 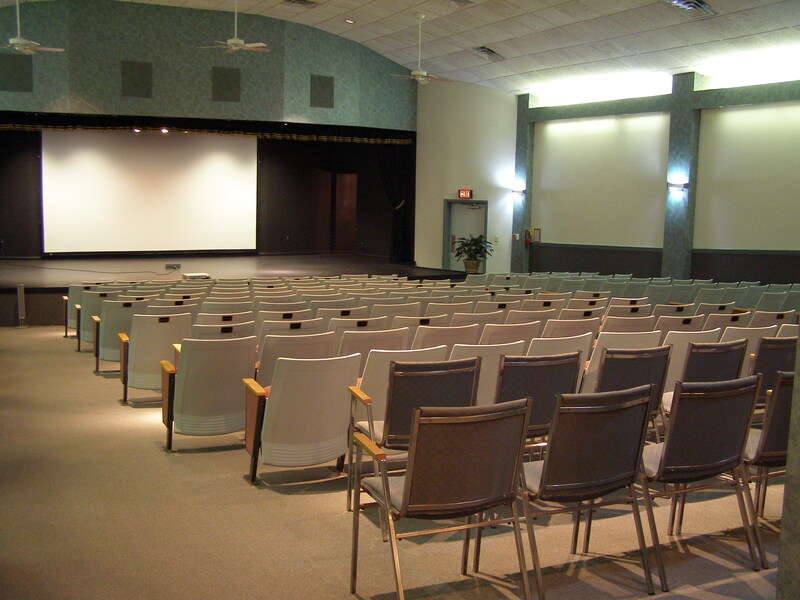 The city of St. Albans purchased the former movie house for $175,000 and renovated it, turning it into the Alban Arts and Conference Center.